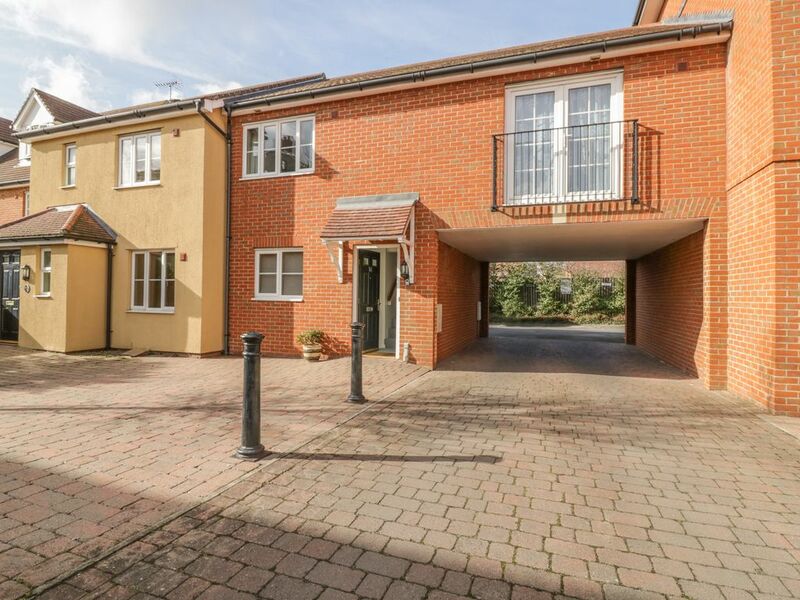 This delightful first floor apartment is situated in Sawbridgeworth, Hertfordshire and can sleep four people in two bedrooms. Sun Apartment is a lovely first-floor apartment situated in Sawbridgeworth, Hertfordshire. All rooms are on the first floor, with two double bedrooms, sleeping up to four people and a separate family bathroom. It has a fitted kitchen and an open-plan living room and dining area. Off-road parking is available for one car. Sun Apartment is the perfect base for exploring the local area. Amenities: Gas central heating. Electric oven and gas hob, microwave, fridge/freezer, dishwasher, washing machine, TV with Freeview, a selection of books and games and WiFi. Fuel and power inc. in rent. Bed linen and towels inc. in rent. Off-road parking for one car. Two well-behaved pets allowed. Sorry, no smoking. Shop 10 mins walk and pub 8 mins walk. Region: The Home Counties comprise the counties that surround London and include Bedfordshire, Berkshire, Buckinghamshire and Middlesex. Although mostly built up, they include some fabulous scenery and attractions which are well worth a visit. Town: Sawbridgeworth is a small town and civil parish in Hertfordshire, England, close to the border of Essex. Most of the town's architecture dates back to Tudor, Stuart and Georgian periods. Offering a wide selection of pubs, restaurants, shops and cafés in the area. The Leventhorpe Academy is a secondary school, which has a public swimming pool and leisure centre. All first floor. Two bedrooms: 2 x double. Bathroom with bath and shower over, basin and WC. Kitchen. Living/dining room. Gas central heating. Electric oven and gas hob, microwave, fridge/freezer, dishwasher, washing machine, TV with Freeview, a selection of books and games and WiFi. Fuel and power inc. in rent. Bed linen and towels inc. in rent. Off-road parking for one car. Two well-behaved pets allowed. Sorry, no smoking. Shop 10 mins walk and pub 8 mins walk.